A walk around Athens will let you see many important ancient sites from the Classical and the Roman times. The Acropolis, also called the Sacred Rock, is the most important ancient heritage of the country. It is also the trademark and most famous site of Athens and of Greece. It has been the main attraction of Athens since the 5th century BC, and is dedicated to Athena, the goddess of wisdom and protector of the city. The Parthenon, the most famous ancient Greek temple ever, stands proudly over the modern megalopolis of Athens, a reminder of the great civilisation he has witnessed. The Acropolis can be seen from almost every part of Athens. It was and still is, without any doubt, the ultimate achievement of the city classical and architectural glory. The Herodeion Theatre is one of the most impressive monuments of Athens and it is today hosting the Athens Festival with performances of theatre, music and dance. The theatre is open to visitors only during performances. It is located at the south slope of the Acropolis and was added in 161 AD during the Roman rule. The theatre was built by Herodes Atticus, a wealthy Roman, in memory of his wife Regilla. It has exceptional acoustic capacities and can sit up to 5,000 spectators. It has a facade of 28 m high and 2,4 m width. Despite it central location, this site is one of the greenest places in Athens. The Kerameikos was the cemetery of Athens from the 12th century BC to the Roman Times. One can also visit the museum which houses stalae, sculptures, vases and figurine found on the site. The Muses Hill located to the south-west of the famous Acropolis is popularly referred to as the Philopappou Hill. 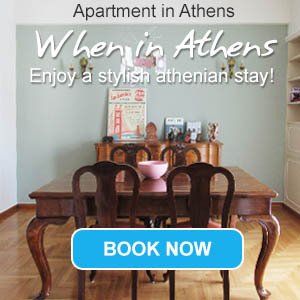 From this place one can bask in the uninterrupted views of the Acropolis and the majestic Parthenon. The Museum of the Ancient Agora is housed in the exact reproduction of the Stoa of Attalos. Finds from the area are displayed as well as an interesting reproduction of the Agora in Antiquity. The original Stoa was built by King Attalos II in 159 BC, and used to be the shelter of expensive shops for wealthy Athenians customers. The Temple of Hephaestus is the best preserved Doric temple in Greece. It was dedicated to Hephaestus, the god of the forge, hence the reason why the temple used to be in the centre of numerous metalwork shops and foundries. It was built during Pericles rebuilding program. The Temple of Olympian Zeus took 700 years to be built and is the larger that was ever created. The work was completed by the Emperor Hadrian in 131 AD. The huge Temple is composed of 104 Corinthian columns of 17 m high. Very little is left of his greatness today, since only 17 columns are still standing. The Panathenaic (Roman) Stadium was built in the 4th century BC. It was hosting the Panathenaic Athletic contests. Herodes Atticus inaugurated the stadium when he rebuild the seats with Pentelic marble. The stadium was strangely abandoned for centuries. It was finally restored in order to welcome the first modern Olympic Games of 1896. The Temple of Poseidon in Cape Sounion, the southernmost spot of Attica, was built in the 5th century B.C. and a part of it survives till today. This is one of the most famous ancient sites in Athens. The Roman Agora is located in Monastiraki and was actually a shopping place. The Tower of Winds, an octagonal structure made of Pendelic marble, is the most known monuments of the Agora. It was built in the 1st century by astronomer Andronicus, and was used as a sundial, a weather vane, a water clock and even a compass. Its relief decoration represent the god of winds, hence the name of the tower. The Arch of Hadrian was built by the Emperor Hadrian in 132 AD in order to mark the limit between the Ancient Athens and his new city. It is also a commemoration of the consecration of the Temple of Olympian Zeus. It is located at the end of Amalias Avenue. The Library of Hadrian was located in the north of Roman Agora and housed books, music and lectures rooms. The theatre of Dionysus is the oldest theatre of Athens. It is located on the south-eastern slope of the Acropolis. There once used to be an older theatre from the 6th century BC that was located at the same place which had welcomed the Festival of the Great Dionysia. The festival was of great cultural importance and welcomed great play writers such as Sophocles or Euripides. The theatre was later renovated with marble with a capacity of 17.000 seats. There is nevertheless nothing much left for us to admire today. The Monument of Lysicrates is located on Lysicrates Square in Plaka and it was erected by the choregos (sponsor) Lysicrates to commemorate the first prize in one of the performances he had sponsored.